Final year. Just those two words alone are enough to make me panic as I consider all of my essay and postgraduate application deadlines. Not to mention the dreaded D word. With a looming dissertation proposal deadline for mid-November, its safe to say that I’m becoming a little stressed. However, that’s not to say that I don’t have a few suggestions on how to stay relatively calm during the final year of university as you trudge through what may seem like endless piles of work. Make a note of all of your deadlines. 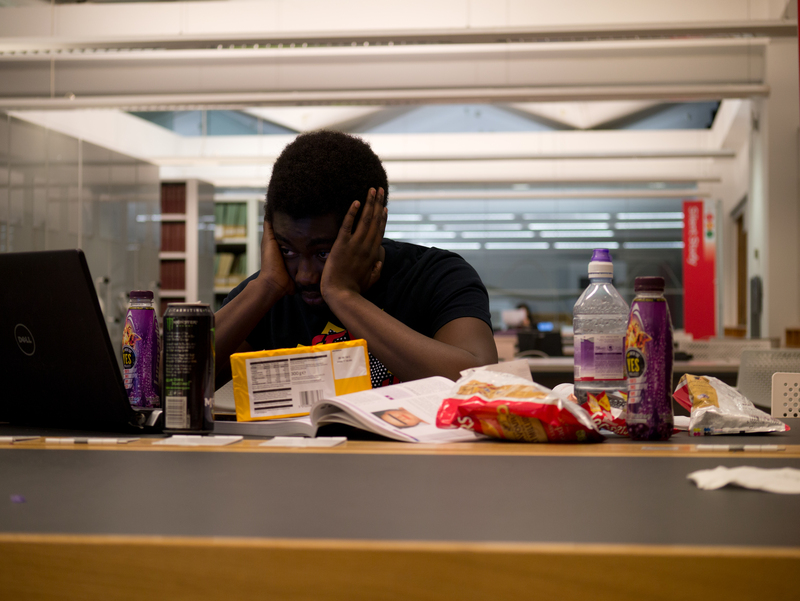 Although it may be incredibly tempting to attempt to forget about essay, presentation, dissertation and postgraduate application deadlines until nearer the due date, you will save yourself a significant amount of stress if you make a note of all your deadlines, since by doing so, you’ll be able to spread out your workload more widely, instead of doing countless all-nighters which are rarely a good idea. Did I say rarely? I meant never. If you’re planning on filling out a postgraduate application, make sure you’re organised. You’ll need to have researched the course you’re hoping to enrol on and have a few academic referees in mind. Perhaps even relevant work experience. If you don’t have the type of work experience needed for the course you want to do, don’t panic. Applications haven’t been open for long, which means that you can simply fill in other parts of your application until you’ve managed to secure some temporary work experience. Also, make sure that you don’t rush your personal statement. I’d advise writing it in small chunks in order to avoid stressing yourself out by writing it all in one go. If you write it all at once, it’ll be obvious to admission officers, as you won’t have sufficiently proofread it, which could potentially make you sound pretty idiotic. If the idea of applying for a postgraduate course makes you a little nervous, or if you feel you’ll need guidance and further advice in filling out your application, then I’d highly recommend booking an appointment with a careers advisor at The Base. Speaking to a professional about applying for a Media PGCE really helped to ease my mind. We even fist bumped at the end of the appointment. Finally, ensure that you don’t deprive yourself of a social life. It’s important to make sure that you allow yourself time to chill and to spend time with your friends in order to let off some steam. Seriously, hibernating in the university library for the rest of the academic year will do you no favours.